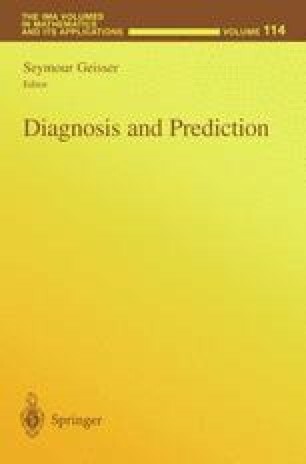 This article develops Bayesian methods for the analysis of a particular kind of interval and right censored data when no parametric structure for the distribution of the data is assumed. It is often not feasible or practical to continuously observe a group of individuals under study. For example, suppose the response variable is the time under experimental conditions until infection with a particular disease, and that the goal is to (i) obtain the predictive survival curve (PSC), (ii) predict a future observation, or (iii) estimate the mean or median survival time. If the number of individuals is large and/or if the method of detection is expensive, it would be sensible to check for the disease at times which have been spaced out; and furthermore, it may be sensible to not check all individuals at all times. In this paper we consider sampling situations where come individuals may be checked for a response more frequently than others. We assume a prior guess for the entire distribution is available and in conjunction with this, we assume a Dirichlet process prior for the underlying survival distribution. The parameter α(⋅) for the prior would often be available from previous parametric analyses of the same type of data. It is also possible to simply place a Dirichlet prior on the vector of probabilities corresponding to the partition of intervals induced by the checking times; the resulting survival curve estimate would be a special case of the one we develop here. Explicit formulas for Bayesian survival probabilities and curves are obtained. When the prior measure α(⋅) for the Dirichlet Process is absolutely continuous, so is the PSC. If the weight w attached to the prior measure α(⋅) tends to zero, the PSC tends to the nonparametric maximum likelihood estimate, which is explicitly obtained. Under some conditions, the Bayesian curves are shown to be consistent. We also address the issues of estimating the mean and residual mean times until response, and of obtaining the predictive probability that a fraction of future individuals will respond in an interval.